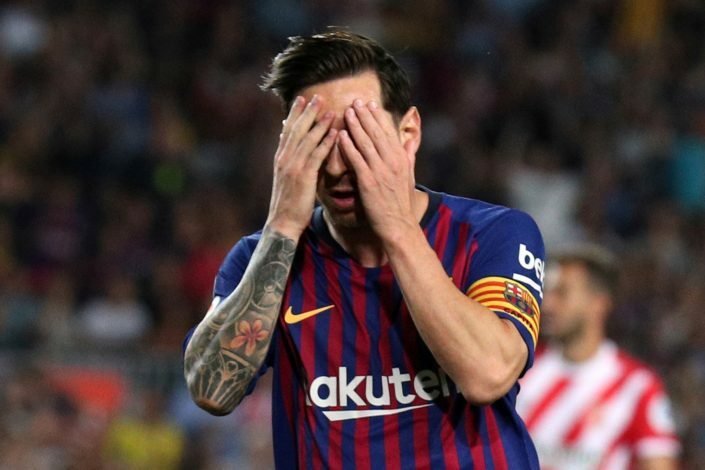 How Messi Reacted When Pogba Said Kante "Stopped Him"
Being cheeky isn’t a trait that footballers save for the pitch. If anything, their social media and off-the-field presence often brings out all the wit there is, and the banter certainly seems endless at times. Of course, it is the interaction shared by superstars of the great game that is savored the most, and perhaps that is why it is this type of interaction we get to see the least. But when we do, it seldom fails to entertain, and that is what happened when Paul Pogba and Lionel Messi crossed paths in Dubai. The duo met at Salt Bae’s famous steak house, and stopped for a quick chat. A lucky video capturing the encounter managed to shoot a priceless moment. The last time the duo met on the pitch was during the World Cup in Russia. It was the Round of 16, and Pogba’s France, who went on to win the crown, had thrashed Messi’s Argentina in a brilliant 4-3 clash. In that particular encounter, N’Golo Kante had done an exceptional feat at containing Messi, and his antics often left the South Americans toothless. That was a performance that brought much praise for the Chelsea midfield maestro. However, what it also did was cause for a cheeky chant to erupt about the Frenchman stopping Messi. This song, as expected, gained quite a bit of popularity. It is certainly nice to see such a sight between the two players. Both are currently enjoying the time off that the international break has brought them. While Messi’s Barca seem quite secure in their antics so far this season, Pogba’s United certainly have quite a bit to worry about going into the rest of the campaign.